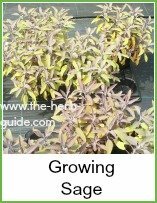 This sage recipe uses the pumpkin flesh that you have gouged out to make a lantern - it's a good halloween recipe although of course you can use it any time. Nor do you always have to make pumpkin pie with it! 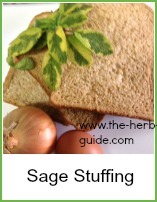 Fresh sage is best if you have it, but if not, then this recipe is OK if you substitute a teaspoon or so of dried. Melt the butter in a pan and saute the onion and carrot until soft. Don't let it brown as the soup is quite light in color. Add the pumpkin and milk and let it simmer for around 30 minutes until the vegetables are soft. Add the sage in the last 5 minutes. 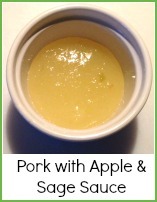 Process the soup in a blender, processor or use a stick blender. Taste to see if you need to adjust the seasoning before returning to the pan to re-heat. Serve with a dollop of cream or yoghurt, a sage leaf or two and a few pumpkin seeds on top to finish this lovely soup recipe. This really is a super simple recipe for soup - you could use butternut squash as a substitute and the method would be exactly the same. 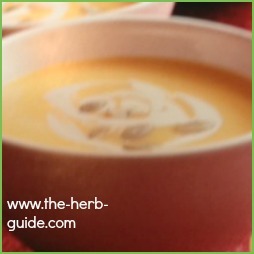 Pumpkin Soup & Sage Recipe. A great idea for using up the pumpkin flesh left over from carving for Halloween.